Last week I looked at a neat genre of gadgets that enables you to emergency charge your smartphone by hand. Now you can recharge your smartphone using pedal-power! This is a great gadget if you bike it to work. Towards the end of your day, your smartphone battery could be on its last legs, so a quick boost with one of these bad boys could mean you have the power you need for some after-work partying. A dynamo charger is fairly easy to install with a few simple tools. Takes 10 minutes or so and you’re done. A cradle on the handlebars might not fit some sports bikes, so if in doubt, speak to your local bike store and check for compatibility. The cradle in itself is a handy addition as it will securely hold your phone in a visible place whilst you’re on the move. Add a Bluetooth earpiece and you have total connected mobility. I don’t advise watching videos on YouTube whilst you’re navigating the rush-hour traffic though! 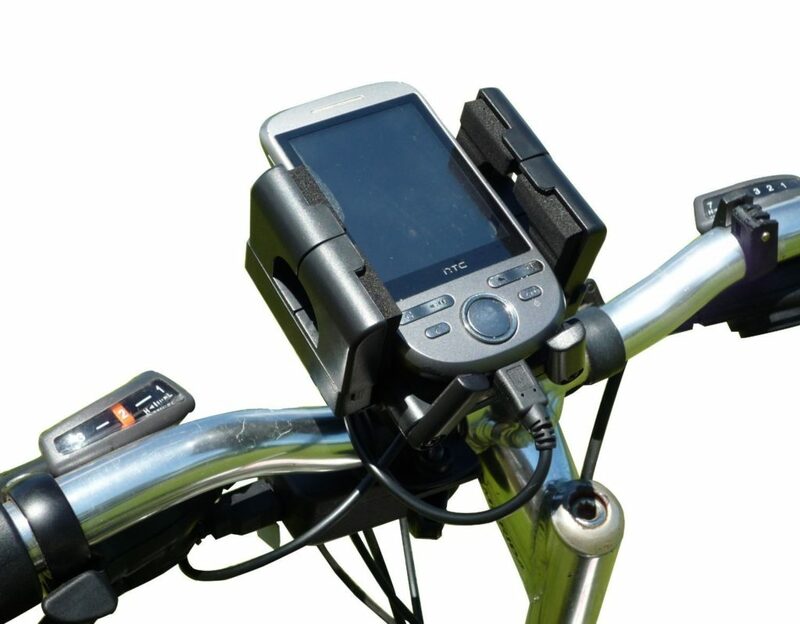 Available on Amazon, Ebay and other outlets, these devices attach to your bike and offer a USB port to recharge your bike. There are always unscrupulous people intent on laying their thieving fingers on your kit. One way of making it much more difficult for them is to detach the charger from your bike whilst it is left in the bike-rack unattended. If this is too much of an inconvenience, then you could use one-way screws that allow you to tighten them, but you can’t loosen them. They’re not fool-proof, but they do make it more difficult. Use an adhesive, like this Gorilla Glue, to secure the screws AND the device in place. Of course, this makes it more difficult for you to remove the gadget, but you can do this in the privacy of your garage and using as much time as you need. The new MacBooks can recharge from a battery pack, so you could even use this to recharge your laptop whilst on the move. Rig up a cable from the dynamo into your back-pack, and bingo. I do caution you to be careful of trailing wires: get these caught up in the spokes of your bike and you will be minus one expensive laptop, or even a bike! Confidentiality In The Workplace: Are Your Policies Up To Scratch?